Map showing the location of River Plate Stadium in Argentina. Covering the stadium with a roof and lowering the field to approximate the stands to the ground would turn the stadium into a remarkable venue. 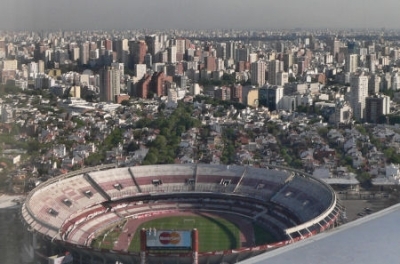 You have the ability to request en edit to any of the details of River Plate Stadium. You can do this by clicking on one of the options below.